A place for all things Loftis and some things Thailand. I am not sure why it is so, but it seems that marriage is a taboo topic. We would all cringe a little bit inside if some socially strange person were to ask us how our marriage is going, and the answer would be stammered, “aww, yeah, you know, good, and stuff, but you know, we’ve got some struggles, but uh, yeah, good.” The struggles would be mentioned so as to not appear to be bragging, or to possibly allude to domestic violence. A safely nebulous answer. Most likely the topic would not be picked up again. Even as I write about marriage on the mission field, I feel a desperate need to say “well, it’s not us, but friends” and I will ask you pray for these friends. (Actually, in this instance, it’s true.) Being in the role of “caring for the carers” we see lots of sad things. Families failing, abuse, fear, spiritual dryness, rage, and moral failings. Rest assured, there are plenty of missionary families intact! But there are some that are not. A woman I know recently confided that she hates her husband, that he is domineering, verbally abusive, and sometimes physically so. She is a missionary. I sat next to her, handing her tissues, completely unsure what to say, with a distinct uncomfortable feeling about the conversation. She said she wanted a divorce, was angry at God and willing to “pack it all in” to be free. She was afraid that perhaps her church back home would kick them out, and afraid of the shame that would accompany such a action. She was afraid that if it got out, they would be the talk of the town. I felt a keen sense of desperation to help, of course, but more to blow the lid off the idea of what a missionary is. To pave the way to an embracing, restorative church. So, be the socially awkward person, ask your friends about their marriage. Sometimes, one tiny confession can lead to a marriage redeemed. Blowing the lid off secrecy, and shame. So please, please please, remember to pray for the taboo topics. Pray that your missionary marriages will remain strong, and that they will have supportive people who are willing to overcome the taboo of the topic and ask! Pray that their faith remains strong. And that pent up rage, or disappointment don’t ravage them so completely. It started out the same, the afore-blogged Joong came, as she does all Wednesdays. Usually I make her tea or coffee, but Wed was warm, so I thought I’d go and buy iced teas/coffees with Asher in tow. On my way, I stopped at our local basket and knife stand, eyeing up baskets (the thought being the more baskets the easier to organise?) The lady happily showed me baskets, and then noticed the overly dramatic bandage on Asher’s knee. She pointed out her own daughter’s foot, which turned out to have a huge wound on it from a motor bike accident. Her daughter was 5. The wound was on it’s way to becoming bad. I mean REALLY bad. And it was uncovered. I was very concerned, to put it mildly. Not sure why she was showing me this wound. She told me they had been to the hospital, and that her daughter was taking medicine. I told her I would come back with some extra bandages. She said not to worry about it. Here is when I really panicked. If she was sincere, I could offend her by returning with bandages. If she was, in her Thai way, saying, “Please help me! But I’m not asking…” Then I would miss an opportunity to serve my fellow man. Here is where my ministry partner, Joong, comes in. She can more clearly interpret cultural rules. I asked her what to do, in my nervous Thai word salad. She confirmed that I should bring bandages, and that it would rightly represent Christ whom we both serve. To shorten and already lengthy story, I did indeed buy the bandages, and with much fear and literal trembling, I presented the bandages and explained what she needed to do. Fortunately, she was receptive to the bandages. As I got up to leave, she blessed me in the Lord’s name. This surprised me because, unlike in English which allows for anyone to say, “God bless you”, in Thai only Christians say that. Well, it turns out that I was not only serving my fellow man, but a sister in Christ. I blessed her in return and we were excited to find each other both servants of our Great God. I will be going back soon to check in with her and will endeavour to update here! 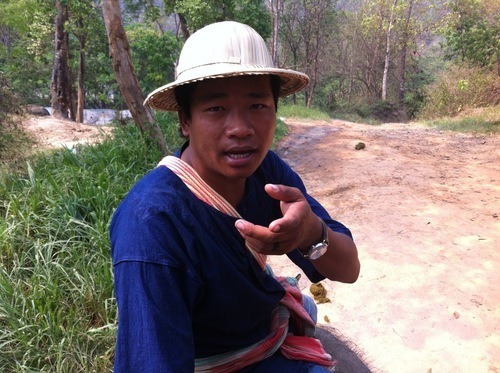 I’ve been wanting to do a blog series on a few of the people who have shaped the Thai “us”. People who have taught and trained us in the arts of living here. So we bungle, and jumble things, but we have felt such acceptance and support from these people, that we feel more able to live here. One of those people is Joong. Joong blesses our home with her presence every Monday and Wednesday. She cleans for us, and helps me wrangle kids and naps and shopping. She patiently waits for me to whip up my word salads in attempts to communicate with her, as well as teaching me words (she speaks only Thai). We laugh about Wren’s silly antics, and giggle about Asher’s grumpy three year old moments (hours? days?) She eases the lonely stay at home mum ache, because she’s done it. She lets me make her coffee or tea in the morning, because she knows that its important to me to be able to do that for people in my home. She frequently comes with extra sticky rice to give to Asher. She rescues Wren from the miserable confines of her bed (poor poppet!) when Wren doesn’t feel like sleeping. And Wren loves her for it. Joong smiles with her eyes, and her kind spirit shines out of her warm round face. Joong is a Christian wife and mother. She and her husband minister in a Hmong church, but Joong would love to go to China as a missionary and teach other women the Bible. Her husband’s grandparents were among the first Hmong christians. Joong’s father never married her mother and died as a soldier. Her step-father is Buddhist, while her mother is a Christian. Joong has three children aged 21 and 19, both boys, and her daughter age 6. She has brought her daughter here a few times and she enjoyed playing, loudly, with both Piper and Asher. Joong supported her family while her husband studied at Bible College. Joong is my cultural confidant. I ask her questions about the whole cultural taboo of touching someone’s head, and what to titles to use for people. She has become invaluable to our family, not because of how different our home looks when she is here, but because of how different we look because of her. Living in a place like Australia or the USA you come across people every single day who are speaking English as a second language. I’ve always wondered what that felt like and how I could be more helpful to them - especially at the beginning or for the ones who find English more than they bargained for. After 7 months learning Thai I’m beginning to get a sense. I’m trying to learn from it and the many generous Thai people who have already been so helpful so that next time I’m in an English-speaking country and I’ll be more helpful to that new immigrant or refugee struggling to pronounce the letter L or get their head around the past imperfect tense - my guess is that many of you reading this are much further down the road speaking a second language than I so please add your experiences and thoughts in the comments, I’d love to know more about what’s in store. One thing to note: I have found speaking a new language is not like riding a bike. It’s a variable skill in which your top level of ability is not a set value but a very wide range. If I begin to speak to someone in Thai and they nod and respond as if everything I’m saying is getting through and making sense my ability to speak Thai goes through the roof - I suddenly understand (or think I do) most of what they tell me, I can not only answer but answer quickly(ish). It’s like a real live conversation - it’s exhilarating! So what if I don’t know some of the words? I’ll just ask what they mean and listen to the explanation. Sweet. But on the other hand, if I pull out one of my carefully pre-meditated sentences and the person across from me stares back blankly as if I have tapioca and not words coming out of my mouth, my best Thai is suddenly going to fall somewhere well below toddler. Naturally, this is partly about me and my level of confidence, but it is also about the person I’m speaking to - how strong is their accent? How used to speaking to foreigners are they? How interested in speaking to me are they at this moment? Are they a man or a woman? So far women have been my teachers in Thai and this has meant that even though I understand Thai women pretty well, most men still sound like they are taking a huge mouthful of peanut butter right before saying anything to me. 1. Speak to me. I know from personal experience that it is much easier to just glaze over and look the other way when you see someone like me coming. You know (or you can guess) it’s going to be really slow, probably boring and potentially embarrassing for all concerned. I’ve avoided plenty of people in my time for these very reasons. But if you don’t speak to me we’ll never get a chance to connect and I’ll just go on feeling like some kind of pariah. 2. Speak slowly (but not too slowly). This undoubtedly seems obvious. But for a long time I thought it was patronising when people spoke slow English to immigrants. Now I suspect those English beginners appreciated it. I don’t mind if native Thai speakers think I have a double digit IQ as long as it makes them slow down a little. 3. Wait for me to catch up. It takes patience to talk with someone like me. Not only do you have to speak slowly and clearly but you have to pretend we’re on Skype and have a bad connection. For a few seconds it’ll probably seem like I’m just staring at you instead of answering your question. This doesn’t mean I haven’t heard you or understood you (although, let’s face it, it could mean that) - it means there’s a delay. It takes a while to process what you said and then formulate a response. If you jump in and try to explain or use an English word you’ll just end up overloading the circuit and slowing things down even more. At some point my face will probably freeze in a contorted expression or start twitching like a broken video feed and you’ll wish there was a big red button you could push to hang up. 4. Keep speaking Thai even though you know some (or a lot of) English. Nothing shatters my confidence like a Thai person answering my painstaking question (in Thai) in quick, buttery-smooth English. Sure, I understand you much more easily, and I appreciate that you already know my language, but it’s a little like saying, “oh, please stop making that awful noise! Let’s just stick to something you can do.” If you keep going with Thai it lets me know you appreciate my efforts and want to help me improve instead of leaving me mired in my pitiful mono-linguism. This last point really gets to the heart of what I think I’m trying to say. Not being able to speak the same language as most of the people where you live makes you feel like an outsider with a big L on your forehead. These little gestures of patient thoughfulness as I try learning to speak are really gestures of welcome. Here is a mini photo essay about Wren and Erika’s last day in a Thai hospital. We have enjoyed learning about the new “rules” and driving in a more responsive and intuitive way, surrounded by people who honk only if you or they are in danger, has made it a bit of fun. It seems, at least on the roads, that we have moved into a community of people more committed to each other as human beings, than to the legal requirements. So although so many things are so different, we get a little taste of what it is to enter into a community. And that, my friends, is a beautiful thing! We have now been “missionaries” on our chosen “field” for about 8 weeks. As one may have read in our newsletter, what that really means is that are just “people” in a “new country”. Although I knew it was going to be challenging, I had no way of knowing the challenges that would appear. I’ve travelled enough that I thought if I was chilled enough, went with the flow enough, or just had a positive attitude, the waves and waves of overwhelmed bewilderment would not be my lot. Alas, it seems that no amount of “chilled-ness” could prepare me for the challenges of establishing oneself and children in a new world. And new world it is. They have a unique script, so signs are illegible to me, they have a unique WAY of speaking, not just new words, a whole new way of expression. Of course, the food is different. The way of life is different. In other words, one feels like the proverbial rug has been pulled out from under the proverbial feet. One is a babe new born, all over again. And I can’t help but feel a constant and steady wave of shame. Shame for all our wealth, and then my discomfort even then… Shame because we can have so many children, and shame for having another. Shame of my mighty frame in a country where many struggle to eat daily, and shame of the increasingly ill-behaviour of my children. I suspect that this shame is not a movement of God, as some days it can be crushing and adds up to “FAILURE”. My suspicion is that in my weakened state, the enemy is slipping in his evil, and cruel lies. Which is yet another area where I had not anticipated such a challenge. I supposed if I was bouyed up by good Bible knowledge, understanding and spiritual growth it could get me through just a few weeks at least. Hm. It didn’t. So, no our transition has not been easy. It hasn’t even really been fun. Some days I sit and cry. But somehow, and I pray that it continues, I have not regretted this move. And I think I can feebly claim that neither heat, nor shame; neither loneliness, nor illiteracy; neither unsettled children, nor fatigue can separate me from the love of Christ. And I WILL claim it again and again. We left Australia a few days ago. It was heart wrenching, and my stomach still turns a bit. There are cousins who will be three years older, my good friends who can laugh at my foibles, and a loving church. I feel as if we are making a great big goodbye cake, piling hurty goodbyes on top of hurty goodbyes. Somehow the Aussie goodbye made me ache all the more for my family in the US, hence the great big cake of goodbyes… In which someone forgot to add the sugar and added a cup of salt instead. Goodbye cakes are gross. So here goes- my list of gratitude. 1. For people to hurt over. If we had no friends, we wouldn’t get to have these aches. 2. Singapore Air hostesses who were very helpful and learned my kids names! 3. This buffer time in Singapore. I cannot imagine house hunting in the state in which we landed here. 4. For a husband who cares for us, and does EVERYTHING for us. He is even willing to acquire, without complaint, our hourly need for snacks. 6. For our new little baby person, who seems, thus far, unphased by all the change. 7. That the nausea which marked the earlier days of this pregnancy is gone, and even my sensitivity to fishy smells. 8. For a God who loves, and sees, and gives all good things ( like mango iced milk) and is worth every ache and every tear. To Him be the glory for ever and ever amen. We have been asked to speak at a church about missions and young families, like ours. I have been thinking about this lately. Whether I really count up the cost of my children. And the cost that they would have to pay. The heavy burdens that they will carry. These were not calculations I had made. Since beginning our missionary journey we have added a new person to the mix, we will have spent a year homeless, making decisions about transitional schooling, making decisions about future schooling. I am so stressed that sleep is frequently a challenge, and my memory is failing. Our oldest son is now displaying major behavioral issues, melting down at the most reasonable requests, not sleeping, and uncommonly hysterical. Our daughter is always tired, sucking her fingers, feeling unable or unwilling to do things for herself. Our baby is sleeping less, and needing to be snuggled constantly. If you had laid out a spread sheet before we started detailing THEIR stress, I can honestly say I’m not sure I would have signed up. I don’t know that I could tell you, that without a doubt, I would do it. Because i have Signed up my children, without their consent, to be shaped by stress. They may be crushed or created by it. They will soon be without country, rendering them less relatable in every country. I have likely consigned them to be lonely, and lost. They will get an education, and gain valuable world knowledge, they may come out diamonds, or ugly bitter rocks. I can only pray that God will not leave them to wallow in hurt and rage, but will allow them a place to belong in His kingdom. We are all aliens, I suppose, once we accept Jesus’ outrageous teachings. I just pray I am up to the challenge to teach them to love while foreign, love the foreign, and love God. Oh God! May it be so! May you find satisfaction in the “greatness” He has for you. Here is a cool little Google map showing some of the places around Chiang Mai where we will be living and working - including Leif’s school, the language coaching centre, Chad's counselling centre “The Well” and the SIM office. Click on the blue markers to read about each spot. We’ll start updating this map when we get to Chiang Mai and discover other interesting or important places (like our first house!). Check it out (just click the link below)! Here is another beautiful little observational piece about the way people in Bangkok carried on with their lives in the midst of flooding last year. 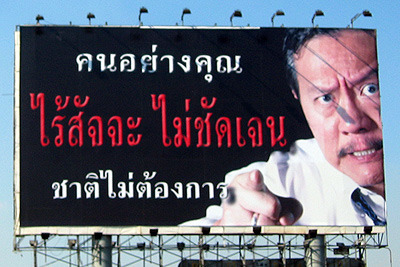 I think this really gives a sense of the resilient stoicism of Thais. LIVING WITH FLOODWATERS from CUT X CUE on Vimeo. In our last newsletter we talked about the difficulties of being in this “stuck” time. Then, yesterday I saw this mini-documentary from Amnesty International about a boy named Omar who is stuck - really stuck - in a refugee camp in Tunisia after being displaced twice already from two other countries. Our stuckness suddenly seems like a pretty cushy situation. There are also hundreds of thousands of Burmese refugees in camps like this along the border between Northern Thailand and Myanmar. Thinking differently like this about our problems doesn’t make them go away - it just makes them seem a lot smaller. A Life On Hold from marc silver on Vimeo. Thanks to a constant and steady stream of information straight to our homes via computers and 24 hour news channels we are more aware of human suffering around the globe. There is the image of children with swollen bellies and orange hair, a mother covered in dirt and blood hysterically weeping over the body of her child, there are car accidents, tsunamis, genocide, infanticide, patricide, civil war, military coups. And typically our response is something like,“oh, how sad. But every now and again, it is close to us. The brother that died in the fire, the girl who died in that awful wreck, the little neighbor with the rare cancer, the baby who’s a victim of a freak genetic accident. Yesterday my husband and I attended the funeral of the 5 year old girl who died of a rare brain tumour. She died at home in the arms of the people she loved best. She was a happy little girl, in life, who loved to sing. She laughed a lot, but was shy around new people. Her parents had opted for a very high maintenance plan of action, involving diet, magnetic therapies, and even an ionizer. Her care was constant, and her family was dedicated. She was healthy for most of her post-diagnosis life entirely due to her parents dogged determination. And yet, in the end, she died. Her mother’s face becoming like those mothers on the news, wild with grief. I would suspect that her parents wouldn’t prefer that she had never existed, but I would imagine that her death may make THEM wish that they had never existed. Love can hurt, it can sear flesh from bone. This is the love that is an image of God’s love. The same love that he felt while Christ was on the cross. The same love He feels for His errant creation. This love, which can surpass our imaginations in beauty and wonder, can crush us in one blow, and recreate us. Maybe it would be better to say that love is a surgery. A surgery without anesthetic. But "love is a battlefield” sounds so much better. Lately, Chad and I have been overwhelmed by people’s concern for us, their giving, to us, their praying for us. We are acutely aware at how little we deserve it, and probably how little we reciprocate it. Just as an aside, I am a little concerned that God may be preparing us for something really awful in the future with this time of ease and comfort. Anyhoo, it occurred to me, that we are on the bum end of blessing. We do so little but receive from the overflow of Gods people’s generosity. We have not arranged a prayer meeting for anyone, but have appreciated them being planned for us. We have not donated loads of money to any other missionaries, but have certainly received extremely generous donations both to our ministry and ourselves. We aren’t trying to be bums, but I think at this point we are so indebted that there is no way to ever repay the level of generosity. So to all of you who have been generous with time, energy, and moneys. Thank you. You provide a mighty blow to my pride with each gift… Which is likely the biggest gift of all. They also give instructions for sponsoring us through our website. The videos themselves were not hard to put together once I found the right song (an old instrumental version of “Sweet Pea”) but getting the footage was really hard with my camera shy kids. I had several ideas that had to be rejected because the kids just wouldn’t go for it. Scroll through the videos below and choose one to play or start at the beginning and they’ll play through automatically. While we were in the US, we co-bought a minivan with my sister and brother-in-law to use for the thousands of miles we had to travel in order to see all the family and friends we needed/wanted to see. When we arrived back in Colorado we discovered there were some paperwork screw-ups that meant we didn’t legally own the van (zounds!) and wouldn’t be able to sell it and get at least some of our money back. In the end, we decided I would drive the van back to Atlanta, where it had been purchased - over 2,000 km away - and return it to the original owner so he cold sell it on our behalf. I drove 22 hours straight, stopped over night to visit some family in Tennessee then drove the rest of the way to Atlanta and flew home the next day. To stay awake, I ate, listened to podcasts and audio books, ate some more and made this little film. The camerawork is sketchy because I was using a new unfamiliar camera, but it’s fun and hopefully will give you the idea. We spent a lot of time driving and flying while we were in the US so this video is an ode of sorts to our whole trip. I have always been intrigued by the pioneers, Little House on the Prairie, and roving adventurers. I loved the idea of wandering, discovering undiscovered things, living off the land, and seeing new things. I always knew I wanted to be a missionary as it seemed the perfect marriage of new worlds and my desire to be worthwhile in service. I hadn’t counted on the pain of goodbyes. The text books never really discuss at length the tears and searing pain of the Pioneers as they said goodbye to their family and friends, knowing that it was likely they’d never see them again. Now, I have friends on several different continents. I have family on several continents. Wherever I am, now, there are people I love that I am not with. Wherever we go now, we are always saying goodbye. In signing up for the missionary life, a life in transition, a life in many countries, we (unwittingly) signed up for a life of goodbyes. I wonder if we will ever be calloused to it. I wonder if it will ever sting less, or if the missing, the constant ache of missing someone, will continue to grow as it seems to. Tomorrow we leave to go back to Australia. After being in the country of my birth for over 3 months, I am finding it harder now than ever, to leave. I will miss my mountains, I will miss my big skies, I will miss the accents that surround me, the lively enthusiasm of Americans, the good customer service. I will miss the parents that raised me, and the people that shaped me. We have recently finished a tour around the East coast of the US visiting family and friends - as many as we could fit in with three little kids and limited time. Since our trip mostly consisted of hanging with people we haven’t seen in a very long time and just trying to savour every brief minute with them we didn’t really get that many opportunities to go and do “stuff” (also it’s the dead of winter here and not really “stuff” weather). The usual holiday photos of sites and places and everyone holding hands next to the fountain (do people take that kind of picture?) didn’t really seem to fit so instead we decided to take a portrait of each of our hosts in their bathrooms. After all, it was the inside of their houses in which we spent most of our time and the bathroom is an essential part of that. A room we all spend time in every day but that rarely gets photographed. So, I present to you, our trip. Please click on the image below to see the slideshow in full screen. I recommend pausing it and turning “Show info” on so you can see who the photos are of and where they lived. We’re going to Thailand. Not for a holiday. To live. Call it a life transfer for our whole family. Call it a calling. For us, it’s another step into the unknown God is asking us to take. 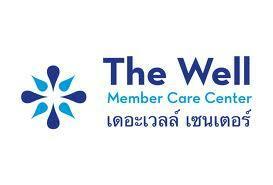 Officially, we’re moving to Chiang Mai (Northern Thailand) so that we can serve missionary kids and their families through counselling at a centre called “The Well”. Chad will also gather stories of God’s work in South-East Asia for our mission SIM and spread them as far and wide as possible. Unofficially though, God seems to want us there to do other things too: get to know Thai people, learn from them and hope they can learn from us, serve the Thai church however we can and, in doing that, serve the church here. Since we’re going as volunteers, we’re depending on the church where we come from to help us help the church where we’re going. That means forming a team that will support us spiritually, practically, emotionally and financially. This website is to help us recruit for and keep in touch with that team. We’re going to Thailand as volunteers and, since we don’t have any rich, almost dead uncles, we’re depending on our community - local and global - for our living. It’s not really your money we want, though, it’s your involvement. In other words, when you click on one of the links below - ongoing financial support, “just for now” financial support or newsletter sign up only - or offer to support us in some other way, you’re offering to join our team. We want your help, encouragement, wisdom and prayer too. Joining, of course, comes with a few “family perks” like being first to get our regular updates and having access to the “Executive Lounge” (read: spare bedroom) right in the middle of a live missionary home in Chiang Mai, Thailand*. *Note: Lounge use is hypothetical (i.e. we don’t have a house in Thailand yet), subject to availability and may, at our discretion be offered to non-members. By signing up to our newsletter you're expressing an interest in what we’re doing. To us, that’s literally as good as gold. We’d love it if, once you start receiving our updates you took the whole thing a step further and prayed for us. You could even drop us a line now and then to let us know you’re alive, how you’re doing and what we might pray about for you. It’s as easy as clicking “reply”. To make this easy, we’ve suggested some monthly amounts that might suit you. Otherwise you can set your own amount or go back to sign up to our newsletter without contributing financially. To make it easier, here’s some suggestions of things you might want to help out with. A description of each one drops down when you click it. If none of these appeal to you, then just hit “Pay for Something Else”. If 250 people sponsor us for $20 Australian a month, we’ll have all the financial support we need. “What’s all that money for?” you ask. Well, SIM Australia, our facilitating mission, will receive the funds every month and apportion it for medical insurance, superannuation, travel expenses and our basic monthly income. They also take out 15% for administrative costs so they can continue to help with our finances, visas, housing and all the other practical support we’ll need overseas and whenever we return. If 100 people sponsor us for $50 Australian a month, we’ll have all the financial support we need. If 50 people sponsor us for $100 Australian a month, we’ll have all the financial support we need. we need to raise a little over $5000 a month in support. It seems like a lot, we know, but it pays for much more than just our salary - that amount covers our housing, schooling, travel, full medical care, visas, contingency funding and administrative costs for SIM. Any amount you think you can contribute to that would not only encourage us hugely it will help God's kingdom to be built throughout Asia. Since we can't fit our whole family into an affordable ocean-going kayak, we have to fly to Chiang Mai. If you've ever flown overseas you know it isn't cheap. We're committed to saving as much money as we can on our flights but we need your help anyway to book them. If you like we'll even think about you for the whole 15 minutes of the flight you've sponsored! As a family of 5 we won't be able to do many of the things we need to do (for our ministry and our life) without a car. Unfortunately, even though most things in Thailand are cheaper than in the West, cars are actually a little bit pricier. Your sponsorship toward our future car will make life a million times easier. Story trips will be a crucial part of Chad's media-based ministries throughout South-East Asia. With money donated here he'll travel to places like Mongolia, Nepal or the Philippines to collect photos and stories about what God is doing in those places. (Money given under this category will be used to buy plane tickets, accommodation, rent/buy equipment and publish and distribute the final products). We realise you might not want to commit to ongoing support right now (or ever) but there are plenty of extra ministry expenses that we could use your help with: media equipment and travel, car/motor-scooter maintenance, counselling and therapy supplies (art supplies, toys, puppets, resources etc.) and lots more we haven't even thought of yet. Please indicate your chosen amount and indicate in the note field what you'd like it used for (if you leave that field blank we'll use it where it can be most helpful).